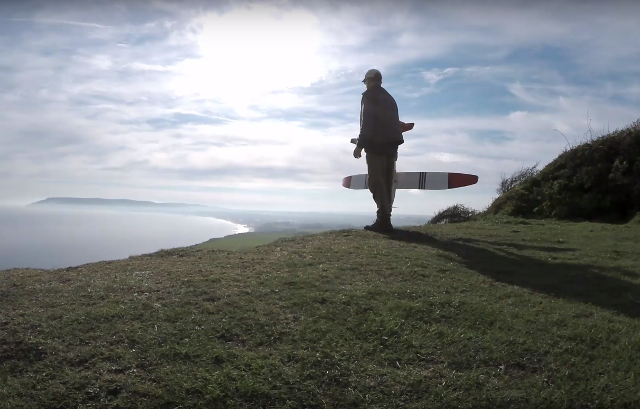 This aerial footage hasn’t come from a drone, but a model glider, taking once last flight – but not before a little TLC from its owner. Here at OnTheWight we’re really lucky to have readers who send us beautiful photos (see a selection here) and videos to share with others. One such reader is Paul Knights from Ventnor. The latest footage he has shared with us is just wonderful. It’s worth watching with the sound on, the track fits really well with the visuals. Take five minutes to sit back and glide above the Isle of Wight ..